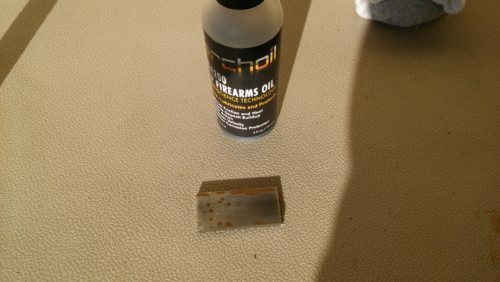 Lucas Gun Oil is a well know lubricant and particularly more famous in the automotive industry but anyway let’s see how well a straight gun oil prevents corrosion. 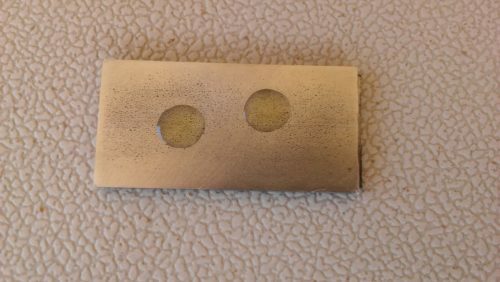 I use a simple corrosion test which entails applying a gun oil or CLP to a clean bare metal plate. 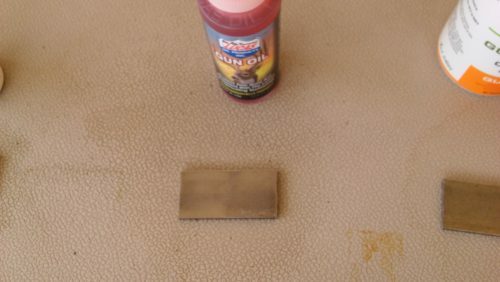 I spray the treated metal plate with water and then let it sit outside in the desert climate until rust appears. Every other day I will spray the treated plate with water until it rusts. 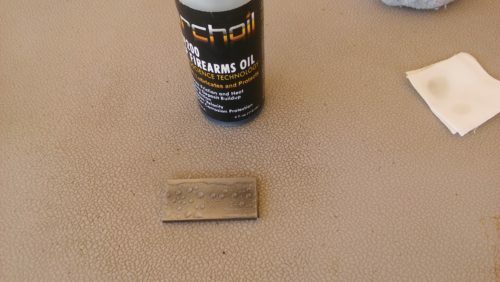 Here’s the gun oil corrosion test setup….clean metal plate and Lucas Gun Oil. 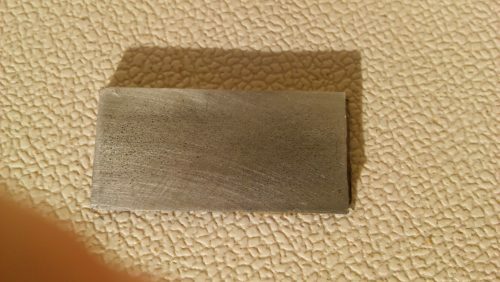 Here’s the steel plate. Nice and clean and no rust. 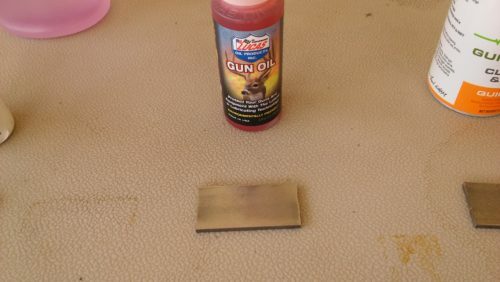 I apply 2 drops of Lucas Gun Oil to the steel plate and then I’ll spread it evenly. 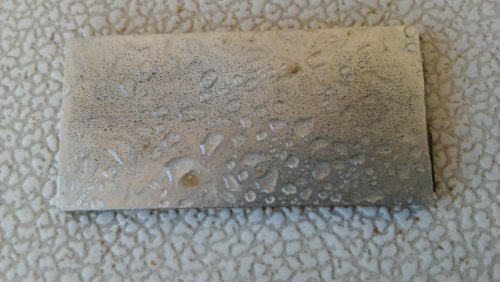 Closeup of the 2 drops of oil. 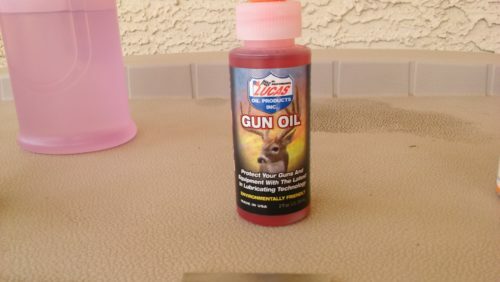 Lucas Gun Oil looks just like motor oil unlike other gun oils and CLPs. Now that the Lucas Gun Oil has been applied, I can start the test with a good spray of water. 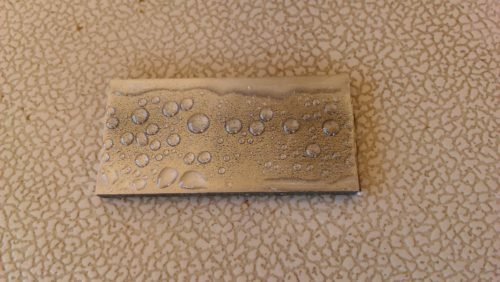 I gave the test plate 2 good squirts of water. It’s a little hard to see the water because it did not bead up. You can see a few beads in the lower right hand corner. Now let’s see what happens in the next 24 hours. 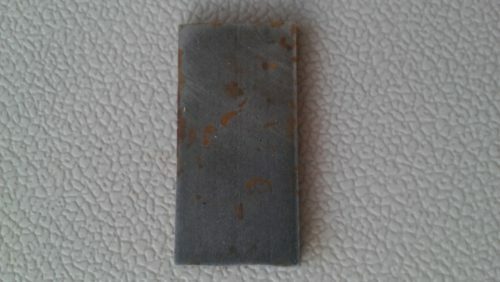 There is a light film of rust taking hold. Let’s take a closer look. 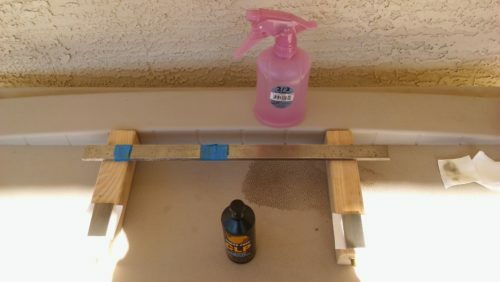 RUST….Lucas Gun Oil does not provide a long lasting corrosion barrier but it’s not a CLP either. Lucas Gun Oil is a just a lubricant. 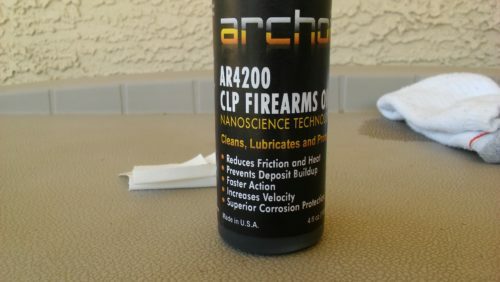 I have used Archoil AR4200 CLP in the past and was happy with the way it performed on my Glock 22. Let’s see how well it Protects bare metal against corrosion. 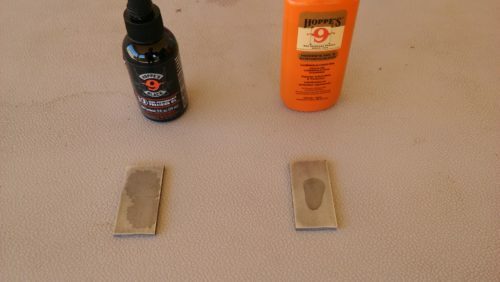 I use a simple corrosion test consisting of a piece of bare steel, gun oil or CLP, gun cleaner, cleaning patches and a water spray bottle. 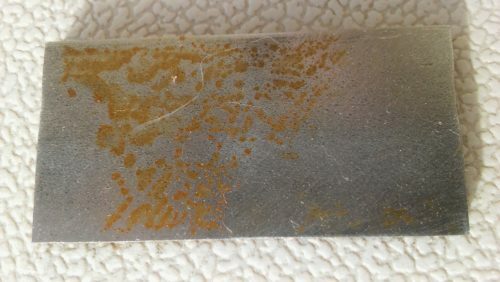 This is an extreme corrosion test and most firearms will never be subjected to these type conditions. But it will show what gun oil or CLP is absolutely the BEST at protected metal against corrosion..
Here’s the setup. 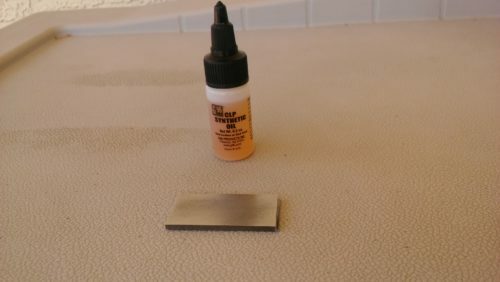 I cleaned the steel plate with Mil-Comm MC25 gun cleaner first. It’s squeaky clean. Here’s the high tech CLP from Archoil. It’s a super lubricant. It says “Superior Corrosion Protection” right on the bottle. 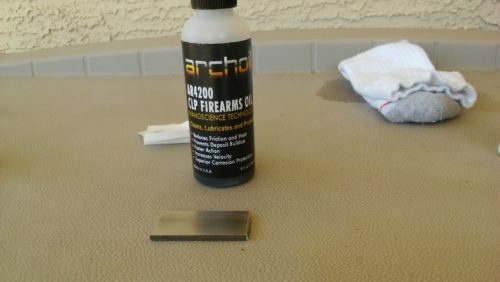 I put 2 drop of the AR4200 CLP on the metal test plate. I’ll spread it evenly with a few patches. The steel plate is now evenly coated with Archoil CLP. 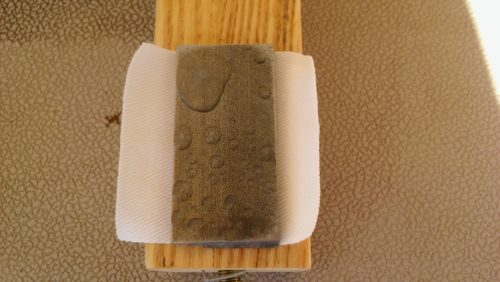 You can see that it removed a small amount of dirt from the plate. Now it’s ready for the water spray. You can see the water beaded up on the metal. Let’s take a closer look. It certainly looks protected with a thin film. Let’s wait and see how long the protective barrier lasts. 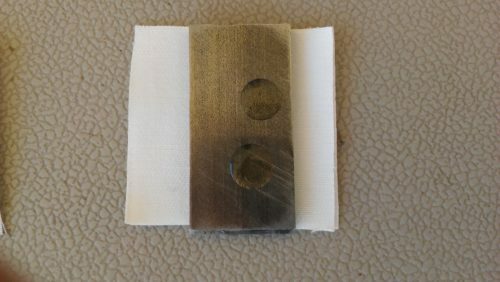 I leave the test samples oudoors where the temperature ranges from 55 – 95 degrees F. I spray the treated metal every 48 hours and stop the test when rust appears. 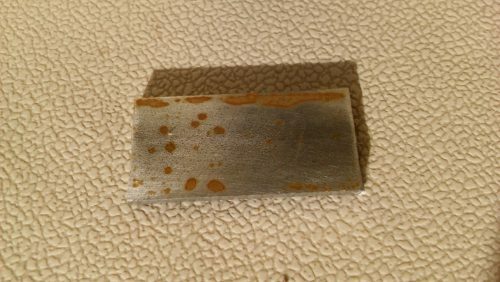 Looks like rust to me. 48 hours + water is the limit for corrosion protection from Archoil AR4200 CLP. G96 products have been around for a very long time and are pretty popular. 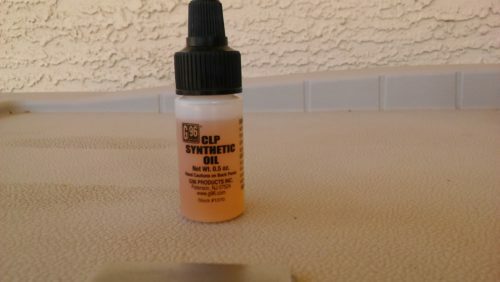 I have a small bottle of their CLP Synthetic Oil. I tested this product for its cleaning abilities and like most CLP’s it did not perform as well as a straight gun cleaner. So how well does it Protect? Let’s put it to a corrosion test to see. 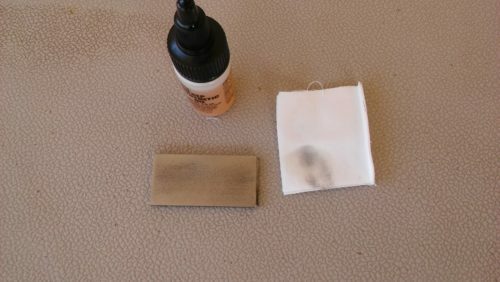 Here’s the simple gun oil corrosion test…1 piece of bare steel, gun cleaner, cleaning patches, CLP or other test product and water spray bottle. 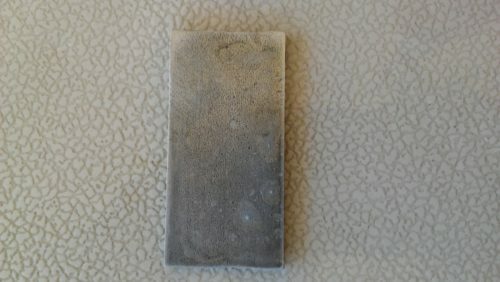 The steel test sample is left outside where the temperature ranges from 55-90 degrees F.
I cleaned the bare steel sample before starting the test. 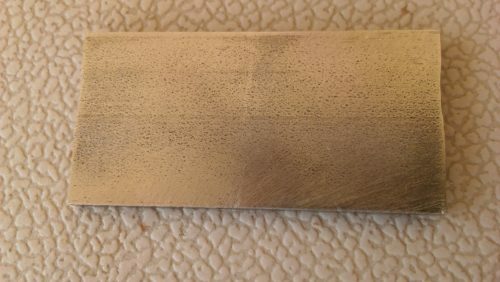 I used Mil-Comm MC25 Gun Cleaner. 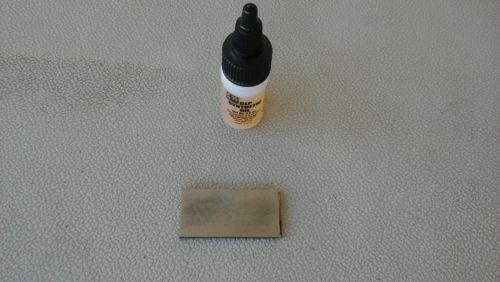 Now let’s apply 2 drops of the G96 CLP to the bare steel sample. Now I’ll spread it evenly with a few gun cleaning patches. 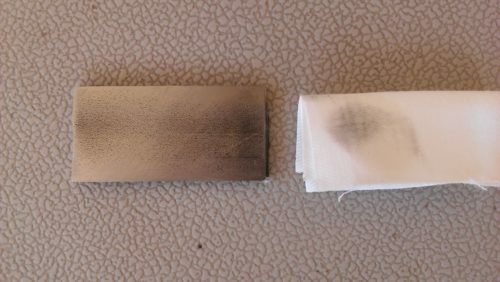 You can see the CLP cleaned some dirt off of the steel sample. Now the top surface has a good coat of the CLP. Let’s spray water on it to start the test. The water beads up very nicely. Now I’ll wait 48 hours and then spray it again. I will continue the every other day water spray until some rust appears and then note the number of days the metal was protected. It’s still looking good! No signs of corrosion or rust. 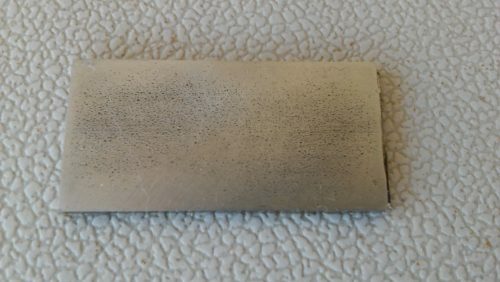 No corrosion – I spray it again with water. Still no corrosion of any kind. G96 CLP is doing very well. Wow…I’m really impressed with G96 Synthetic CLP. 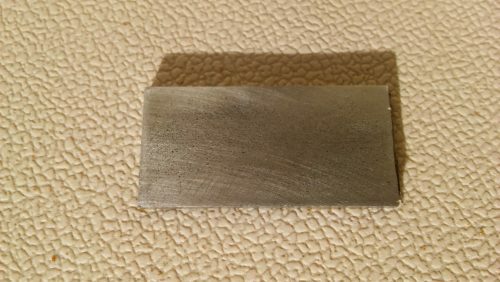 This bare metal sample is spotless after 2 weeks in the desert climate with temperature ranges from 60 – 95 degrees F PLUS a water spray every other day. OK…This is simply AMAZING. G96 CLP is still doing very well after almost 3 weeks of heat and every other day water sprays. 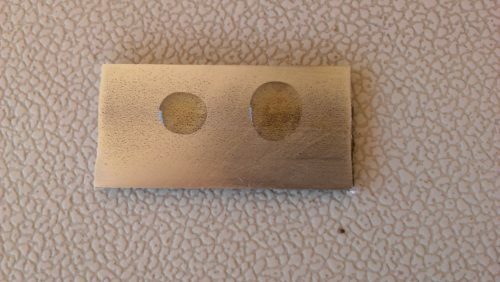 Here’s a closeup view of the metal test plate. 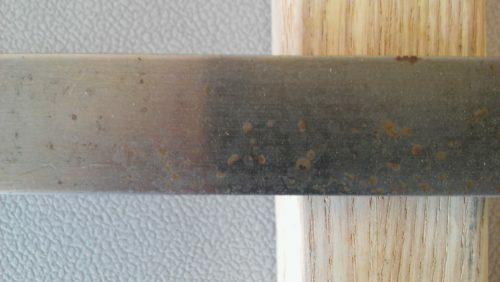 There are some very small minor spots of rust developing. Let’s spray more water and continue the test to see if the rust increases. Look at this!!! The water is still beading. Let’s see how it holds up after another week. G96 Synthetic CLP is a great protectant. 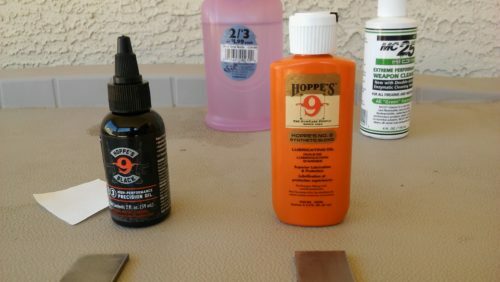 Hoppe’s makes some really awesome gun maintenance products and Hoppe’s No 9 Black High Performance Precision Oil is one of their newest. 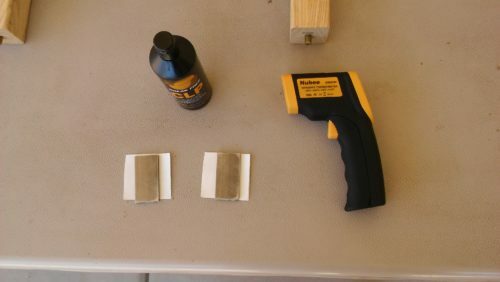 I was amidst a series of gun oil corrosion tests, so I thought I would test the new Black Precision Oil against their awesome Synthetic Blend Gun Oil. 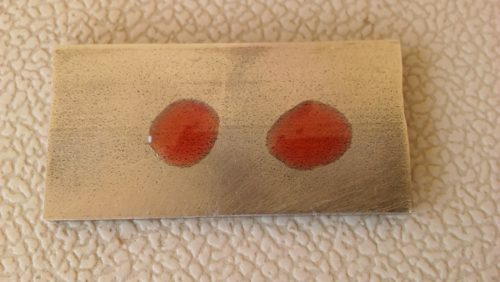 My corrosion test is very simple. 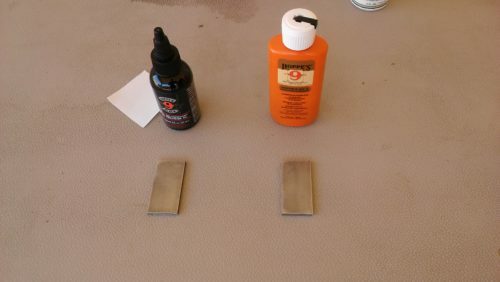 I use 2 steel plates and clean them thoroughly with gun cleaner and then apply a gun oil. 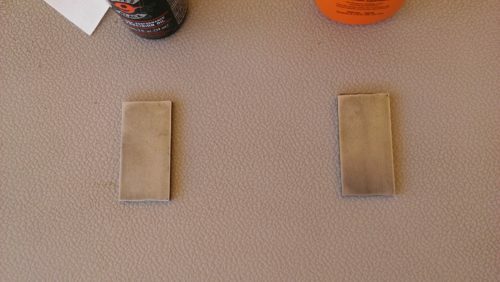 I leave the treated metal outside in the elements and spray them daily with ordinary water. I monitor them daily to see how long the oil protects the metal from rust. 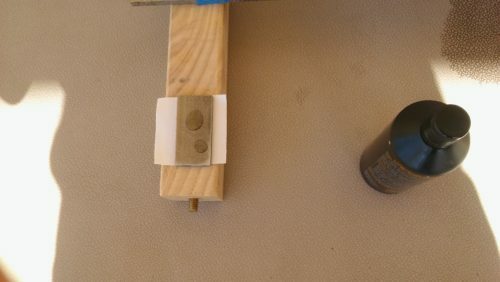 Let’s take a look at the corrosion test setup. 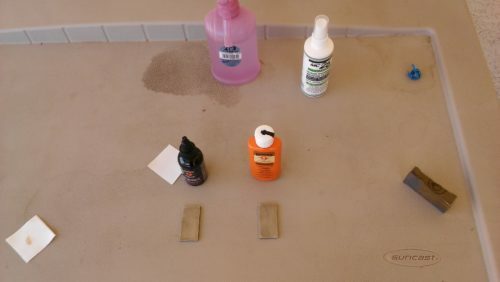 Here’s the setup…2 bare steel plates, 2 gun oils, water spray bottle, gun cleaner and gun cleaning patches. 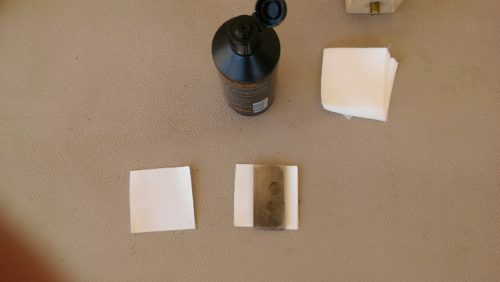 Here are the 2 gun oils that I’m testing against each other. Hoppe’s No 9 Synthetic Blend and Hoppe’s No 9 Black High Performance Precision Oil. 2 bare metal plates ready for oil application. I’ll put about 2 drops on each plate and spread it evenly with some cleaning patches. 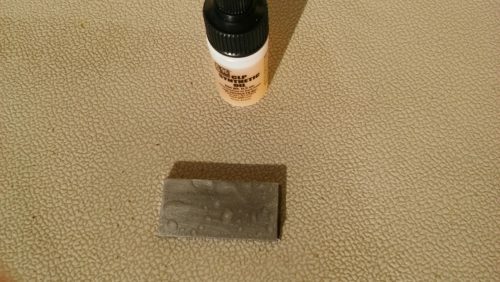 Here’s the 2 gun oils I’m testing. 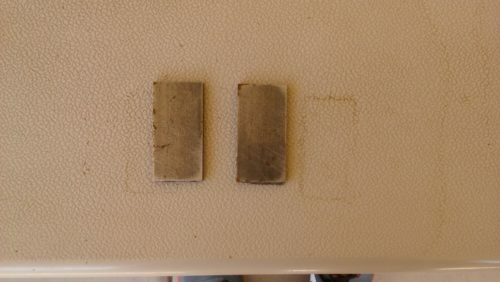 2 drops on each steel plate. 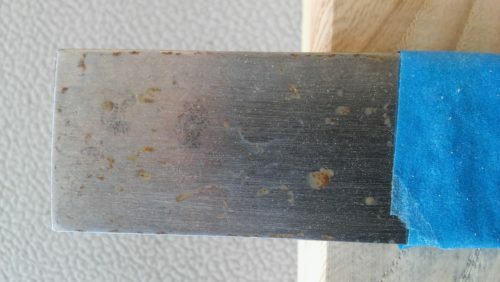 The oils have been spread over the surface of the steel. 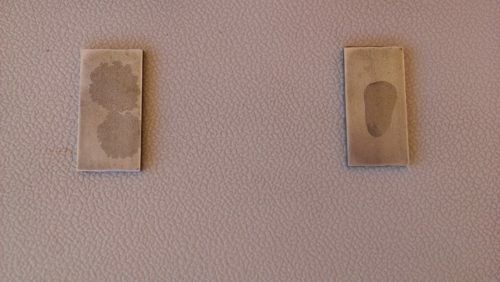 Now the test plates are ready for a good water spray. It’s hard to see the water beads. 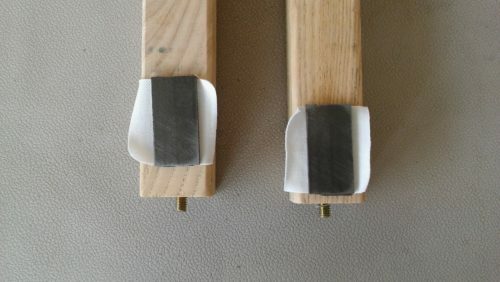 The Hoppe’s No 9 Synthetic Blend had a much better water bead than the No 9 Black oil. Now we’ll see how long the metal protection lasts. The one on the right is the Hoppe’s No 9 Synthetic Blend and the one on the left is the new Black HP Precision Oil. Let’s take a closer look. Hoppe’s No 9 Black HP Precision Oil after 3 days with daily water spray. There is some rusting in spots. Hoppe’s No 9 Synthetic Blend Gun Oil after 3 days with daily water spray. There is a lot of rust. 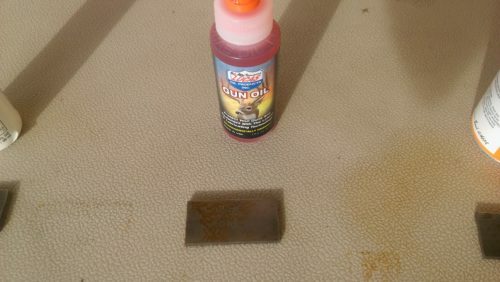 This gun oil would not be a best choice for corrosion protection but it is a very good lubricant. 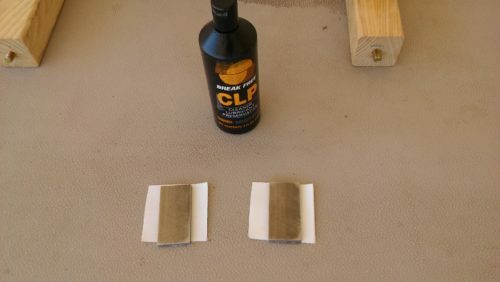 Is BreakFree CLP a good protectant for guns? The only way to know for sure is to test it…so here we go. 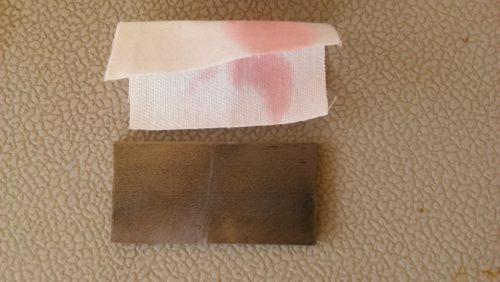 My corrosion test is simple yet effective. 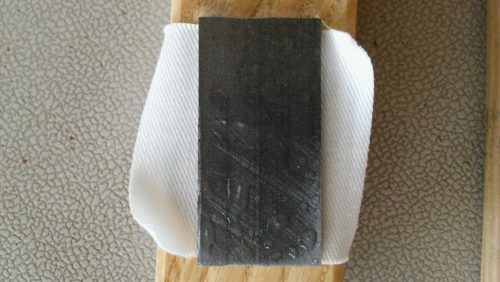 I take pieces of steel bar, clean them and then apply an oil or CLP to them. I let them sit outside in the Arizona heat and spray them with water 3 or 4 times per week. I record how long it takes for the metal to rust. 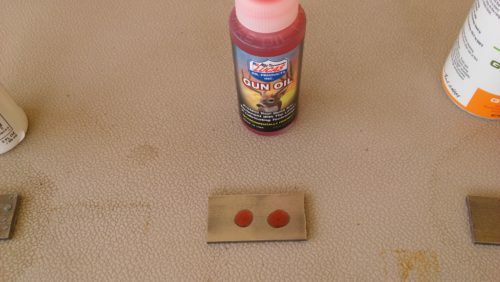 The longer it takes to rust, the better the protective properties of the gun oil or CLP. Here’s the Breakfree CLP and 2 pieces of cold rolled steel. One piece will be heated to 100 degrees and the other left at ambient temperature (85 degrees). 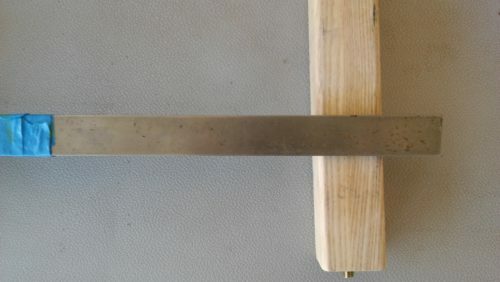 The reason for the heating is to determine if oil penetrates better if the metal is hot. Does it really seep into the metal pores? 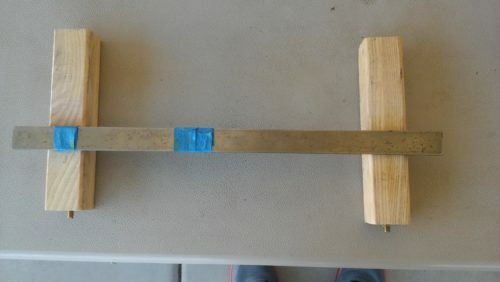 So how do I heat up the metal test material? 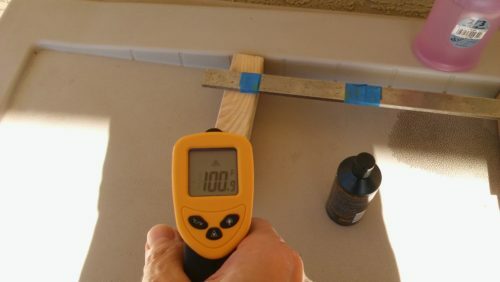 I use a heat gun and then a temperature gun to measure the temperature. 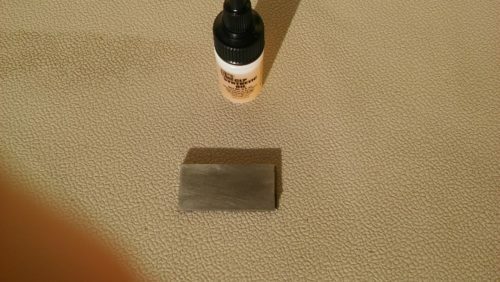 I’m applying 2 drop of Breakfree CLP to the unheated metal bar. I will spread the CLP evenly with a cleaning patch. 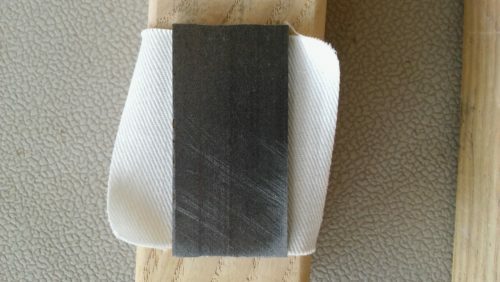 Here’s the temperature of the 2nd metal bar. It reads 100 degrees. Now I’ll apply the Breakfree CLP to it. 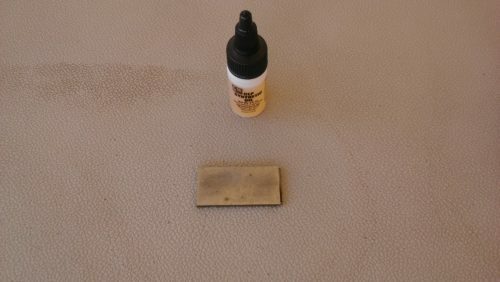 2 drops of Breakfree CLP and then spread it evenly. Here’s the testing area where the metal bars will stay until they rust. You can see the water spray bottle in the background. 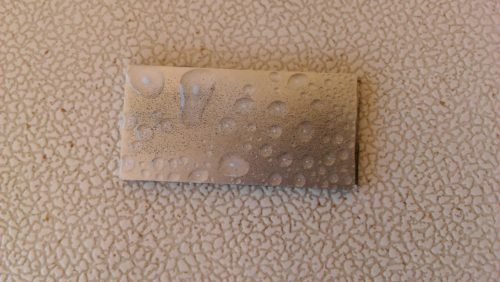 Here’s one bar with a dousing of water. It beads up very well. 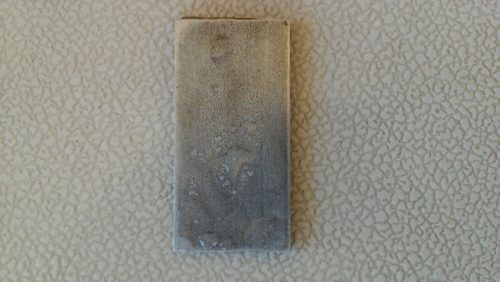 Here’s the 2nd metal bar after spraying it with water. Nice beads too. Now let’s see what happens in the next 7 days. Stay tuned. 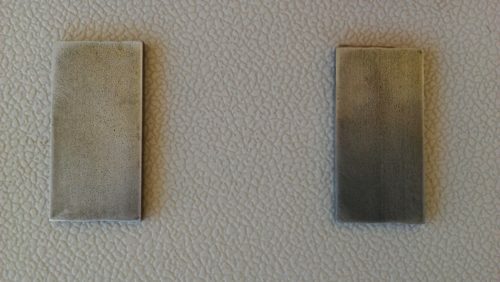 Here are the 2 Breakfree CLP treated test samples. Now let’s wet them again. The water still beads on the metal. That’s a good sign that the Breakfree is still protecting the metal. So far, Breakfree CLP has done a fantastic job at protecting bare metal against the elements…water and heat. 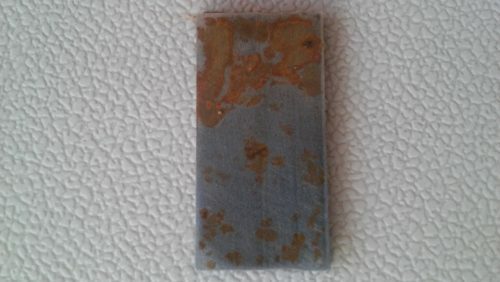 *** Remember this is an extreme corrosion test. Most guns do not get sprayed with water several times per week. 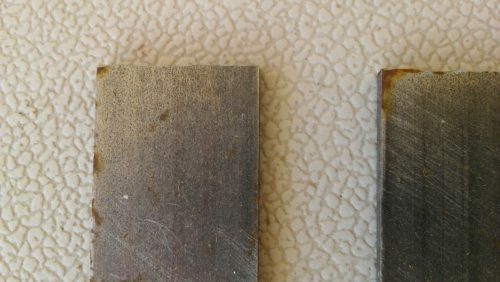 You can see some rust on the left edge and top left edge. Let’s take a closer look. There you have it…RUST. 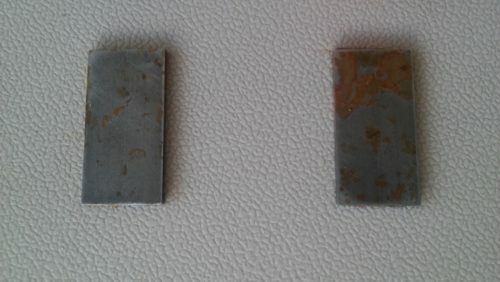 The heat treated sample (on the left) has more rust than the un-heated sample. 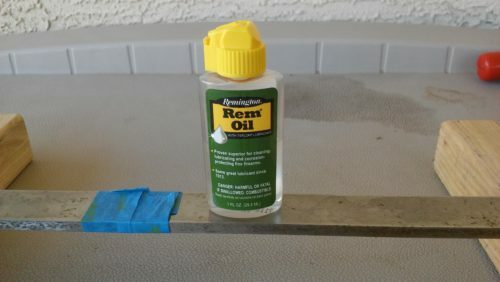 Is Remington’s Rem Oil a good gun protectant or corrosion inhibitor? Let’s put it to the test and see how it performs. 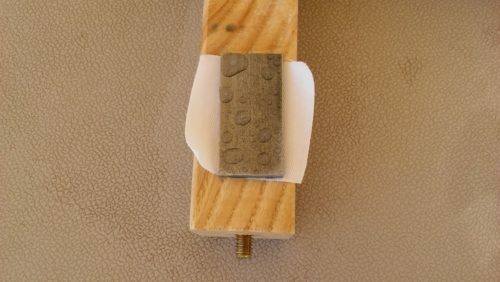 This corrosion test is very simple…I apply Rem Oil to a steel bar and then leave it out in the elements…rain and shine. Actually I create the rain via a water spray bottle. 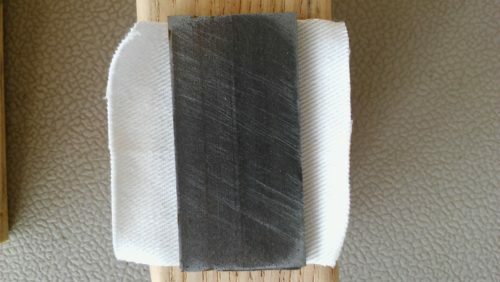 Here’s the steel bar with 3 sections marked off by the blue masking tape. 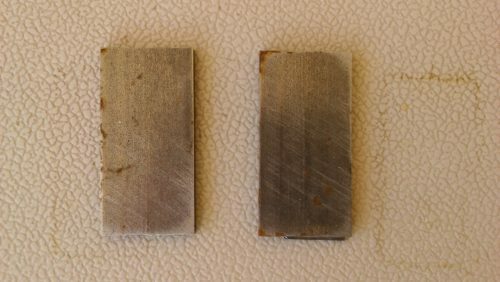 The large 1st section on the right is the heated application(104 degrees), the middle section is room temperature (85 degrees) and the last section on the far left is untreated or bare metal. 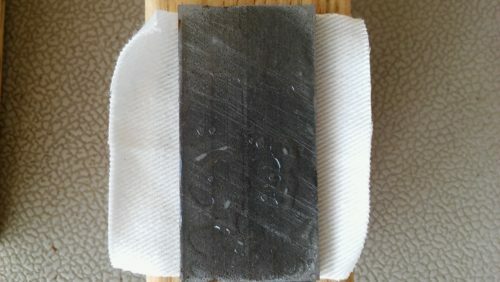 The first section was heated to 135 degrees initially but it proved to be too hot for Rem Oil. The Rem Oil sizzled and burned off. 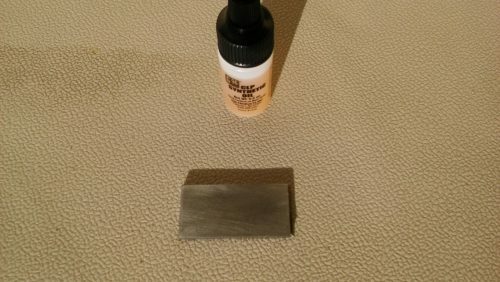 I let the metal cool to 104 degrees and then applied the Rem Oil. The reason for the heating is to see if the oil penetrates better on warm metal. 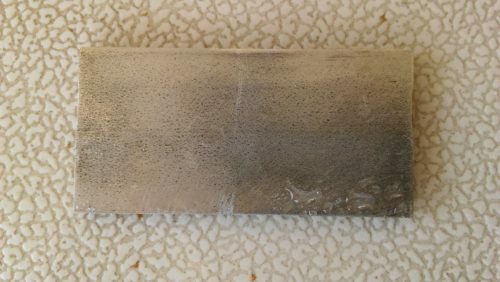 The middle section was 84 degrees when the Rem Oil was applied. The 3rd section on the far left was left untreated. 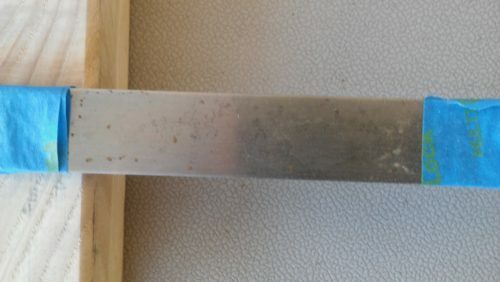 On the first and 3rd day, I sprayed water on the entire steel bar and left it outside. The temperature range was 68 – 95 degrees with low humidity. Let’s take a look at the 3 sections after 5 days. 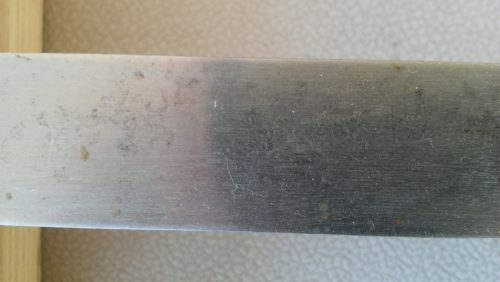 You can see on this closeup view that there is rust. Now let’s look at the 2nd section where the Rem Oil was applied at room temperature. 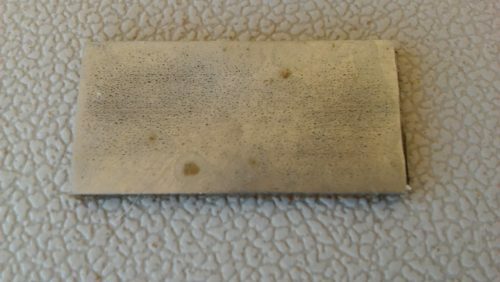 You can see a few spots of rust on this section also but less than the 1st section where the metal was heated. There is some serious rust on the untreated section. There is no doubt that Rem Oil does provide some protection against corrosion and it works best if applied to room temperature metal.